Sanctum Sanctorum Comix: PUTTING ON A NEW FACE -or- Men Call Him... DORKTER STRANGE! 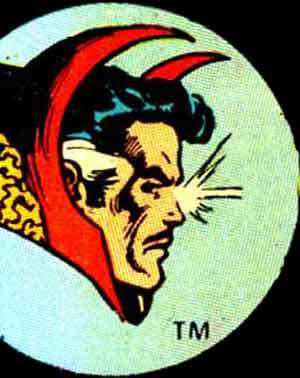 Men Call Him... DORKTER STRANGE! This entry is a bit of a stupid and self-serving one. So, please bear with me, and in return, I promise to try to make it entertaining (note: promises not valid outside of my own mind). Among all the items on the "to-do" list, (which is listed all at the end of this post,) I thought it would be a good thing to put a new face on the corner-box where the same pic of my ugly mug has been since this blog began in 2008! After 5 years of an old pic (which was taken in 2006 [or 2007] - thus making it at least 6 years old), it's about time I put forth a new one. So, take a look at some photos I took for the occasion. Some of these were taken with the idea of having me be "the host" of the Sanctum Sanctorum which, in all my dorkiness meant mostly me being "in costume", "as" Dr. 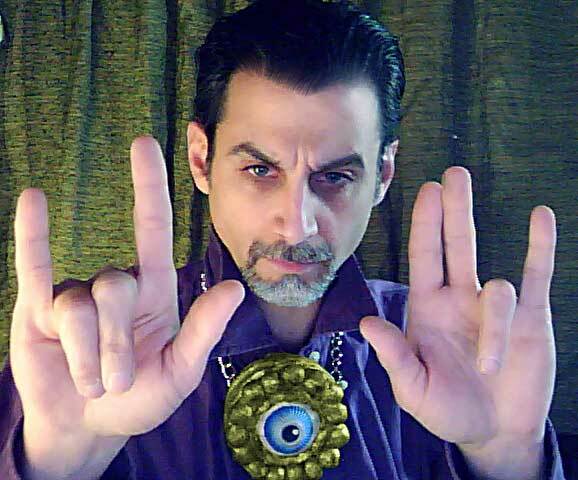 Strange - really, just a "tunic" (ok... a purple, collared shirt) with my custom-made Eye of Agamotto (a blog-post dedicated to it can be found [HERE]). I "doctored" a few of them with some "comic-art" filter and also turned a few into an animated gif. So, please take a moment to point and laugh - er - see which of these YOU would have selected for the dubious "honor" of being my "by-line" photo. Animated gif - complete with lens-flare special defects... er... effects. Yup. 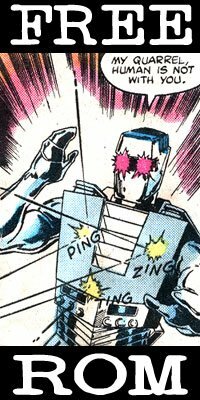 Nothing but the best of the early 1990's grafix for this blog! Me posing all "Doctor Strangey". 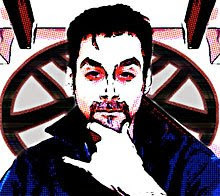 (but with a "comic art" filter tossed on it to help hide my ugliness... er... tie it in with the comicbook theme of the blog. Me posing all "DORKTER Strangey". Yeah. Same pic. Same obfuscating er... authenticating filter. Now, at this point in the process, I took a look at the OLD pic and saw that it was really just me sitting, looking only vaguely "Strange-like" - with a slightly altered background. See? This is the old one. SO... I thought, that concept would be fine for the new one. Just me looking at the camera and looking like myself (which, I'll admit, IS a little "Strange-y". 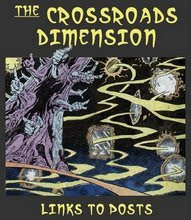 I may recycle some new ones now and again, and if I ever DO decide to do an "in costume" photo, I'll probably try to emulate the illustrations from the classic corner-boxes from the comics. * As for the "to-do" list, I want to add another side-column so the assorted features there can breathe. I also need to design a few special buttons and point them to a few special, indexed landing-pages of blog-post series', and update a commerce-section (Amazon, eBay, a Sanctum-storefront, etc...) and whatnot. All of these things ARE being worked on, albeit at the slow-but-sure pace that has been a hallmark over the past few years, between my spending time blogging (including working on blog-posts waaaay in advance [you wouldn't BELIEVE the assorted data, images, and rough-drafts I've got stockpiled]). New stuff will happen all the time. 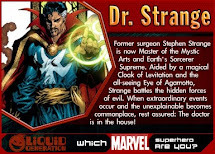 you need to find an agent so that when Marvel thinks about doing a Doctor Strange movie you can get the gig. that animated gif is awesome. Totally agree with Shlomo. 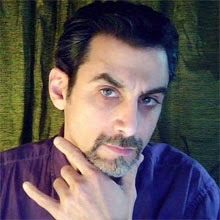 You look the part much better than Adrian Brody, Patrick Dempsey or Josh Gordon Levitt. How's your acting skills Peter?